Watch out, Intel. AMD's hotly anticipated Ryzen processor is coming in for landing. 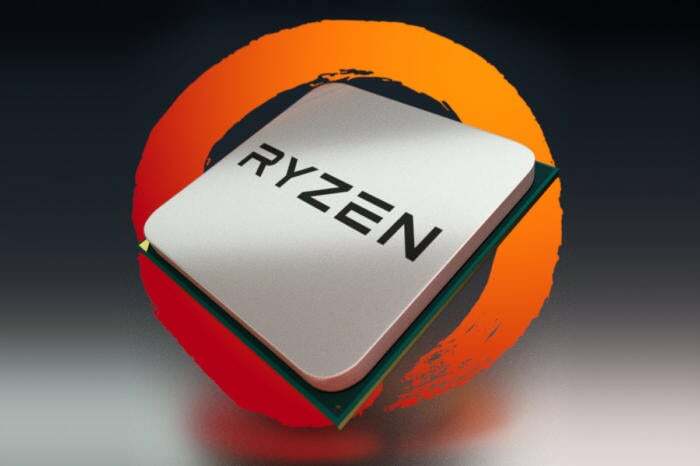 So far, everything AMD’s shown of its hotly anticipated Ryzen processors hint that they’re the company’s most competitive new CPUs in a long, long time—chips poised to bring the fight back to Intel at the high-end of computing. No processor launches in a vacuum, though. At CES 2017, AMD set the stage for Ryzen’s Q1 2017 launch by revealing 16 high-end motherboards that use the new unified AM4 socket, CPU coolers built for those boards, and another 17 “extreme performance” pre-built PCs designed around Ryzen. I’m scheduled to meet with AMD about these new AM4 motherboards and system designs tomorrow morning, so stay tuned for an update with more pictures and hands-on impressions. For now, let’s dig into what AMD’s already unveiled. Both Ryzen and all of AMD’s other new APUs fit into the same motherboard socket, AM4. (Hallelujah!) But those AM4 motherboards won’t all use the same chipset: A more affordable APU system might pair with a motherboard that has modest features, whereas a Ryzen-based PC is likely to require more robust technologies. To that end, AMD’s releasing the X300 and X370 desktop chipsets for Ryzen systems. An ASRock X370 AM4 motherboard. You’ll want an X300 motherboard in a tiny mini-ITX machine, and an X370 in a full-size PC. Both support all of the recent tech being baked into AM4—dual-channel DDR4 memory, NVMe and M.2 SSDs, USB 3.1 Gen 1 and 2, you name it. So far, I’ve managed to get my hands on MSI’s two AM4 motherboards while at their booth today, and the X370 Xpower Gaming Titanium proved particularly noteworthy. It largely follows the design cues of MSI’s high-end Titanium enthusiast motherboards for Intel’s Kaby Lake chips—and that’s a good thing! AMD’s FX processors have lagged behind Intel systems in terms of feature support for a while now, so it’s refreshing to see the latest and greatest technologies on an AMD motherboard. 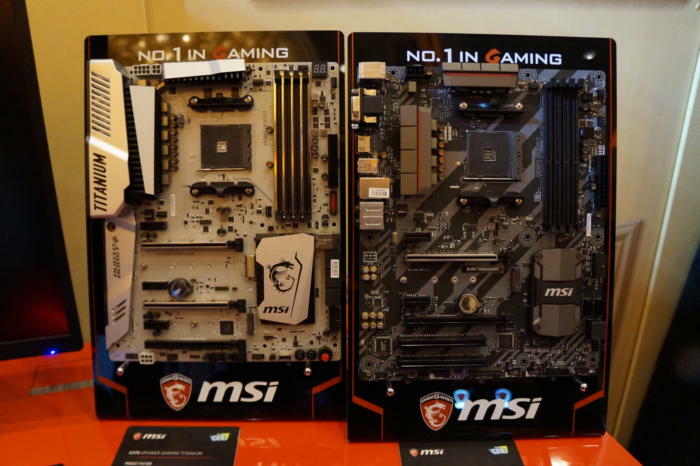 MSI’s X370 and B350M motherboards in the flesh, or something. New motherboards do mean new CPU cooler brackets. AMD’s working with 15 vendors on an array of third-party AM4 cooling solutions, but right now, they’re only naming a handful. 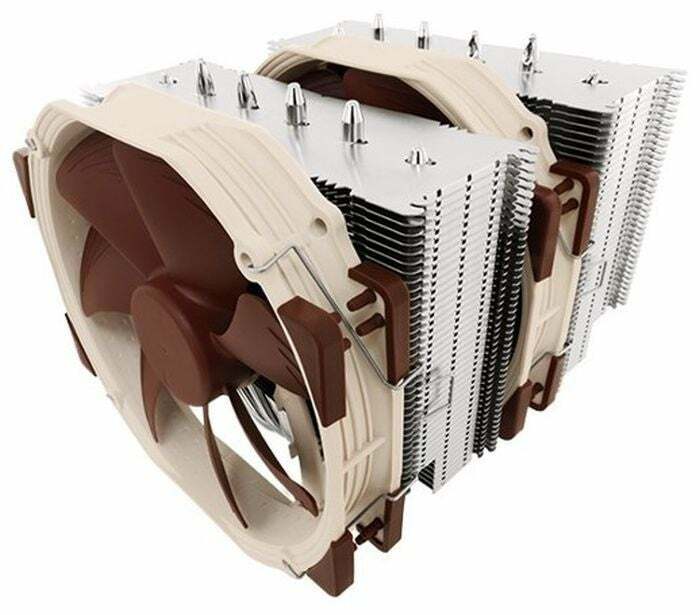 Noctua’s highly regarded NH-D15 and its thinner cousin, the NH-U12S, will both become compatible with AM4 motherboards, and EK Waterblocks—beloved by enthusiasts who dig custom hardline liquid-cooling—will release AM4 products as well. If you prefer your liquid-cooling of the dead-simple closed-loop variety, Corsair’s H60, H100i, and H110i will also support AMD’s new platform. Of course, you can also expect to see AMD’s own quiet Wraith cooler make the jump to AM4—especially considering that AMD’s public Ryzen demos featured it. 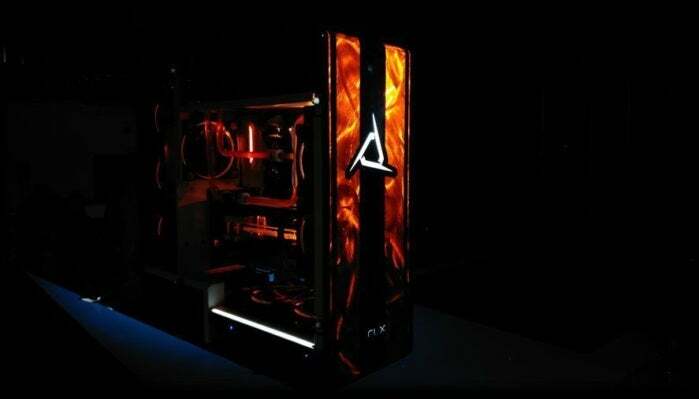 A Ryzen-powered PC from Cybertron. Don’t worry if you’ve noticed that the PC makers on this list are of the more specialized variety. AMD says it expects AM4 computers from all the top PC manufacturers when Ryzen launches sometime later this quarter. And nope, AMD still hasn’t said anything more specific about when that is.